I’ve developed a new habit when I get to work. Within 30 minutes of my arrival at work, I check komplett.no to see if there has been any change in the release date of Samsung Galaxy Tab 10.1. Then I google for news about the tablet to see if there is some new information out there. I wrote a mail to the nordic division of Samsung, and it seems like a 32Gb version of the tablet will not be available, but a 64Gb version will be released during autumn. Unfortunately, they didn’t have a release date for it. I’m so looking forward to this tablet, and waiting for the 64Gb version seems unending. It’s annoying, especially since I want to have it before the birth, but that doesn’t seem likely right now. There are other tablets out there with support for extra card readers, usb etc. but the cost of this is heavier and thicker tablets. 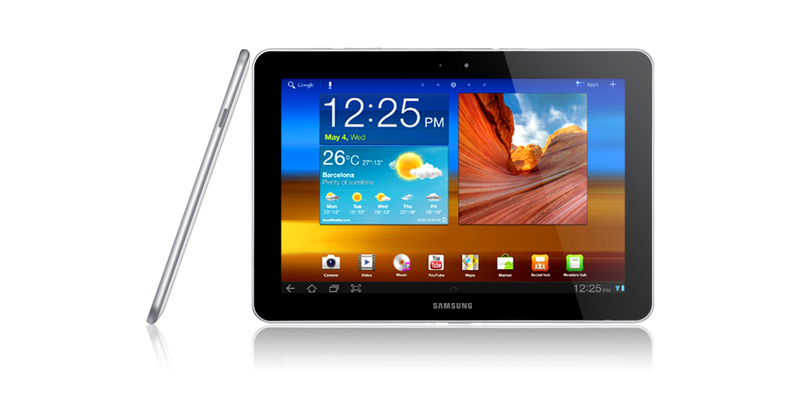 I want a tablet that take little space in my bag and isn’t heavy, so I still end up with Samsung Galaxy Tab 10.1. There are many rumors about a kindle tablet, so if Samsung is too late, then may be a kindle tablet is the way to go instead. And while I’m waiting for the Tab, I’m also waiting for Kindle DX 4. During summer time, reading books outside on e-ink is a joy and therefore I have to have a kindle as well. But I don’t want to purchase a kindle before the new edition arrives. There are rumors that it might contain colors which I would love to see in an e-ink gadget. A new release of Kindle DX should be in about a year. Why do I have to be such a gadget geek that I *have* to wait for the new, shiniest toy. Second best just isn’t good enough. And while we are on the subject,I need to purchase a new digital camera and so far the recommendation has been Canon PowerShot SX 230 HS and Canon PowerShot S95. Anybody else have thoughts on this? I may be a gadget geek, but photo geek I’m not. This entry was posted in EBooks, English, Gadgets. Bookmark the permalink.